Two local businesses — one a beloved national brand and the other an upstart in the state’s hottest sector — have teamed up for new product releases in two of the North Coast’s top industries: beer and cannabis. Lagunitas Brewing Co. in Petaluma last week released its SuperCritical Ale, a hoppy beer that is brewed with terpenes, aromatic compounds of essential oils extracted from some plants, including cannabis and hops. The brew, only available in select California locations for a limited time, contains no THC, the chemical that triggers psychoactive effects. Lagunitas received the terpenes from Santa Rosa-based CannaCraft Inc., a cannabis-extract manufacturing facility that has made a name for itself in the newly legalized industry despite being raided by police last year. In exchange, Lagunitas assisted CannaCraft in developing new vaping products for its AbsoluteXtracts line, which do contain THC. CannaCraft included terpenes that were derived from hops in the new products, with Lagunitas brewers providing guidance on obtaining a beer-like aroma for their high-inducing weed. It should be available for sale in about five weeks, said Dennis Hunter, CannaCraft founder. The collaboration is the latest example of businesses outside the cannabis sector exploring ways to take advantage of interest in marijuana, as it’s poised to be legalized for recreational use on Jan. 1. Estimates place the California cannabis crop at $7 billion, making it the state’s most valuable agricultural crop. In fact, a Santa Rosa symposium was held earlier this month to explore opportunities for the wine industry to partner with cannabis producers. One brand, Legion of Bloom, introduced its sparkling wine at the event that was infused with terpenes from a cannabis strain cultivated in the Russian River Valley. That product also did not contain THC. Breweries and wineries have to walk a fine line, as cannabis is still listed as illegal under federal law. Those businesses do not want to risk losing their federal license by selling marijuana on site or infusing a cannabis extract with THC in their product. Still, the collaboration is a sign of businesses looking to capitalize on newfound interest in the cannabis industry, Hunter contends. “I think it’s going to open the door for partnerships and more business looking to our industry as a legal industry (now),” he said. Lagunitas may have been a natural partner; its had a stoner-friendly vibe since its founding in 1993. Its Undercover Investigation Shut-Down Ale commemorates a 2005 St. Patrick’s Day raid by state Alcohol Beverage Control agents to arrest employees smoking pot at the Petaluma plant. Jeremy Marshall, the brewer for Lagunitas, said he valued working with CannaCraft, especially its high-tech labs that conduct the extraction process using pressurized carbon dioxide. As beer drinkers want to explore the newest versions of hoppy India Pale Ales, Marshall said terpenes can play a valuable role in creating unique aromas and mouthfeels to a drink. For SuperCritical, Marshall used terpenes from the Blue Dream and Girl Scout Cookie cannabis strains, which were combined with seven different hop strains. 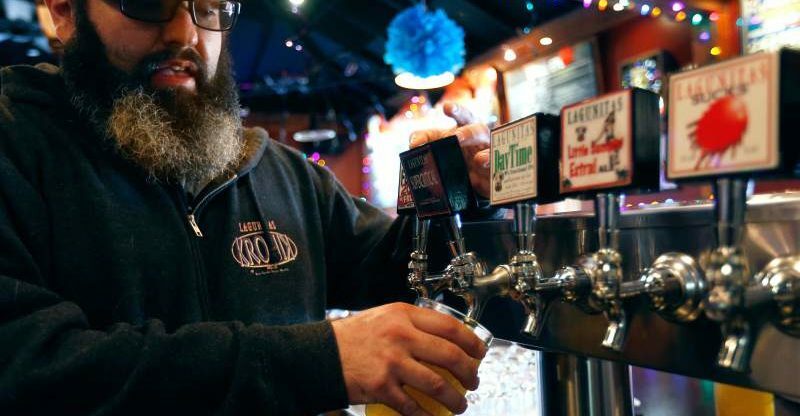 The beer registers 6.6 percent alcohol by volume, rather low for Lagunitas. 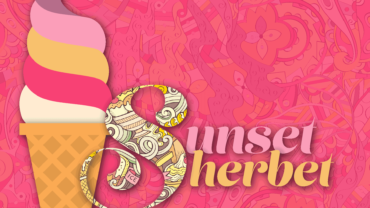 “I think it will be no different than other mainstays in my spice rack I can use,” Marshall said of terpenes. In fact, Hunter said terpenes are an emerging cannabis category that is likely to grow in terms of marketplace acceptance, expanding beyond its use to get high with THC or to provide pain relief via another cannabinoid, CBD. Terpenes could work especially well as an aroma and flavor enhancement for food, he said. This story was originally posted on pressdemocrat.com August 22, 2017. Click here to view.